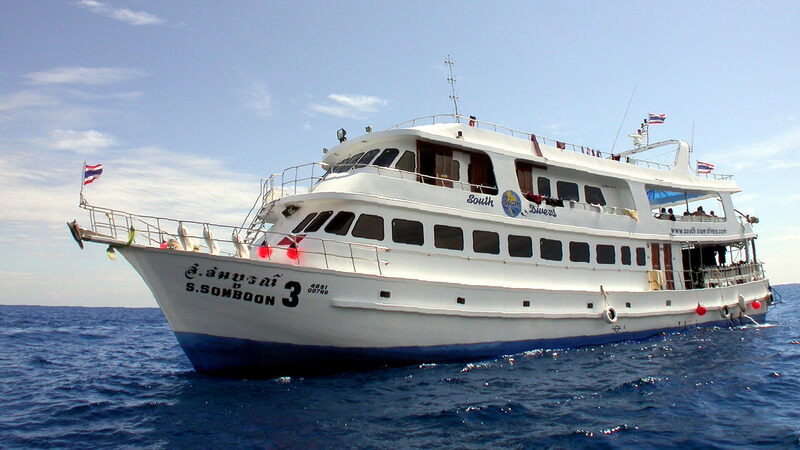 The sister boats Somboon 3 & 4 are the most flexible boats we have to offer. 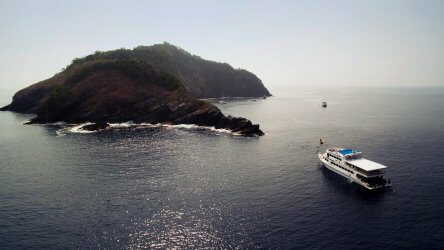 They both run scheduled 3 Day/ 2 Night trips to Richelieu Rock. In between they stay around the Similan Islands National Park. Neither boat comes back to port until the end of the season and transfers are made via speedboat from Khao lak. 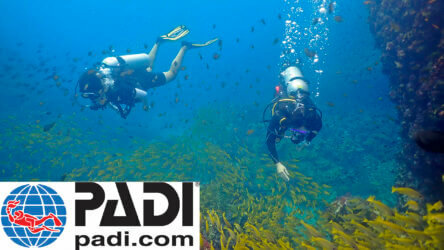 This allows divers to stay for just 1 Night/2 Days if you’re on a tight schedule or even just a two dive day trip. Both boats are large and well maintained. 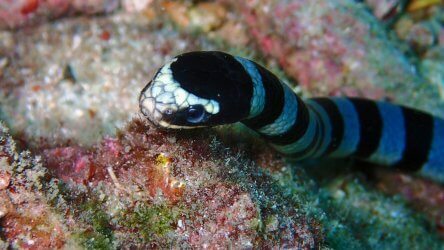 They can have a large number of divers for the middle two dives of the day especially in the peak holiday periods around Xmas and New Year. 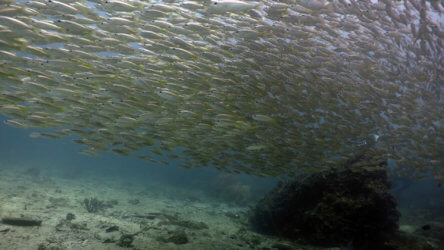 The late afternoon and early morning dives are much less crowded. 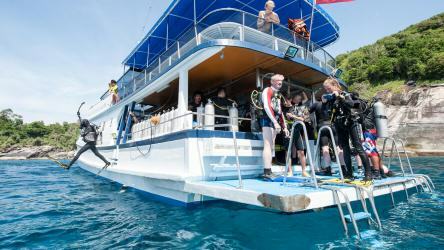 Only overnight guests (max 28) can join these dives. The eating area is huge to allow for the extra day trip guests and there is a small air-conditioned saloon on both boats. None of the cabins are en-suite but all have individually controlled air-conditioning and sea views. If you’re on a limited budget and a tight schedule, then Somboon 3 could be a great option for you.